Marsha Forchuk Skrypuch has received numerous awards and honours for her children's books, including a nomination for the Canadian Library Association Children's Book of the Year in both 2007 and 2010. 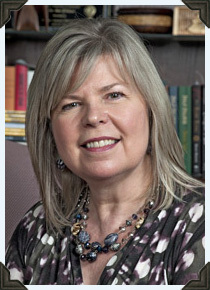 Marsha is also the author of the bestselling Dear Canada book, Prisoners in the Promised Land. In 2008, Marsha was awarded the Order of Princess Olha by the Ukrainian President, in recognition of her story, Enough, which described the great Ukrainian famine that claimed millions of lives in the 1930s. Marsha's novel, Stolen Child, received the SCBWI Crystal Kite Award for the Americas, and is a starred selection in Best Books for Kids and Teens from the Canadian Children's Book Centre. Surprisingly, up until the fourth grade, Marsha did not know how to read! She says that after she failed a provincial test, she taught herself how to read with Oliver Twist — a long novel that took her a year to complete. Ever since, Marsha read as many books as she could get her hands on, and had a new dream of becoming an author. After completing an English and Library Science degree, backpacking across Europe, and working for an industrial sales company, Marsha eventually focused on writing. After a hundred rejections, her first book was published in 1996. Check out Marsha Forchuk Skrypuch's other books. Long live Dear Canada! I love these books, as a reader and a writer!